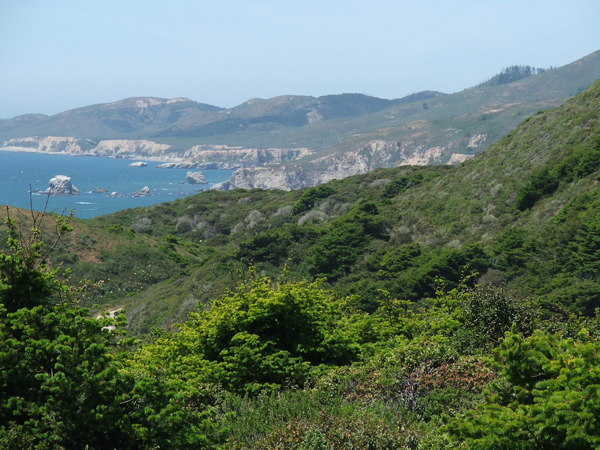 We went for a really nice hike this weekend to the southern part of Point Reyes, a bit north of San Francisco. 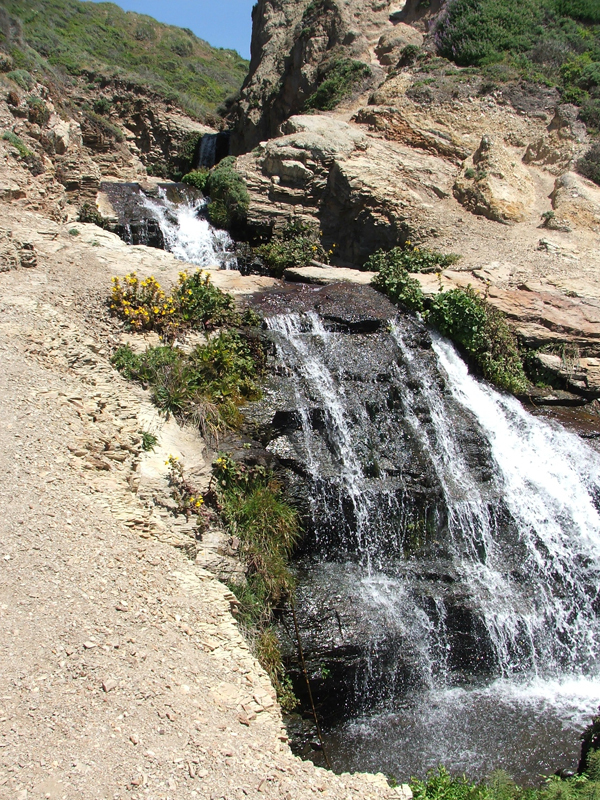 The destination for the hike was a place called Alamere Falls. The captions for the following photos are below the image. 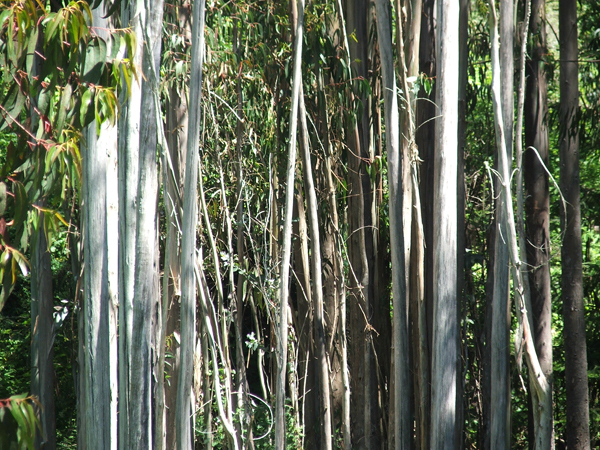 A dense grove of Eucalyptus trees. 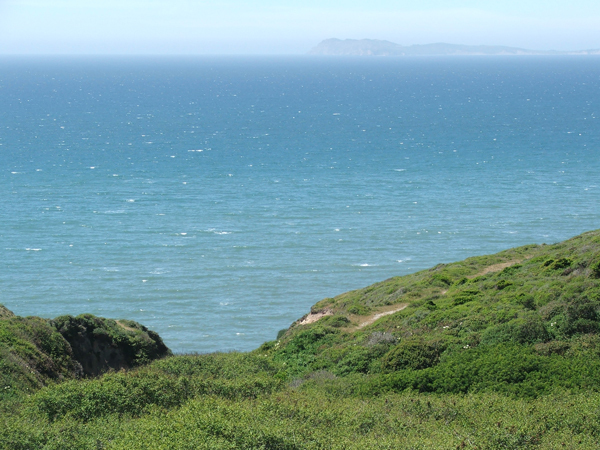 Looking south towards the very southern end of the Point Reyes area. 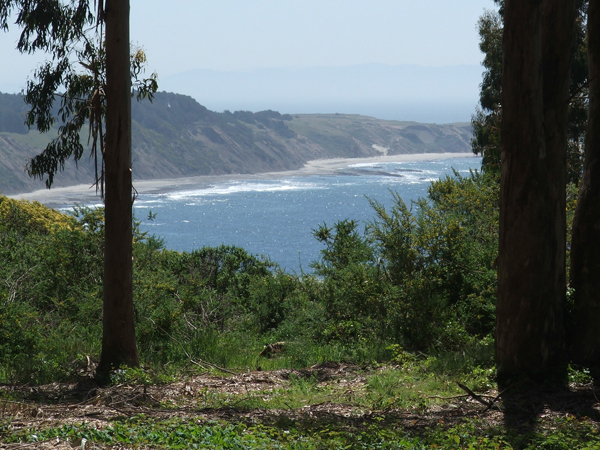 Point Reyes proper off in the distance. It was an absolutely gorgeous day … perfect weather for a hike. Another view looking north. The trail came in and out of the woods giving us these spectacular views. The wildflowers are still good this time of year, although not as numerous and dense as they were a few weeks ago. Does anyone know what kind of flower this is? 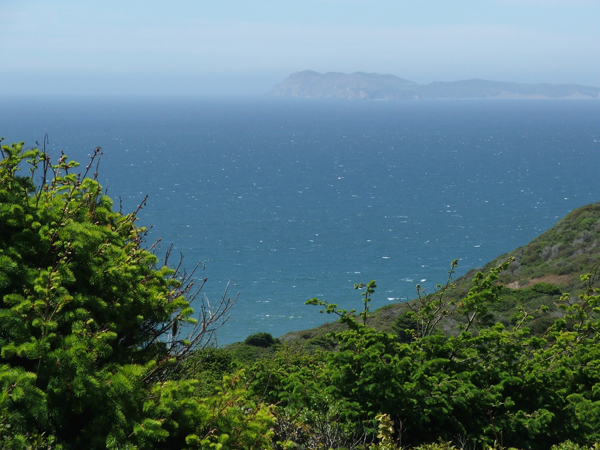 Yet another view northwest with Point Reyes in the distance. 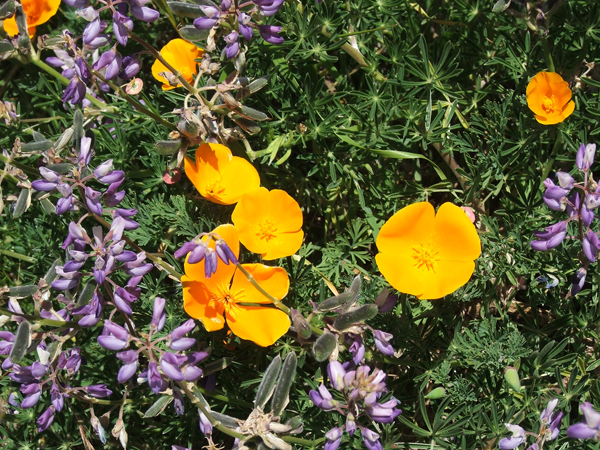 The poppy, the California state flower. 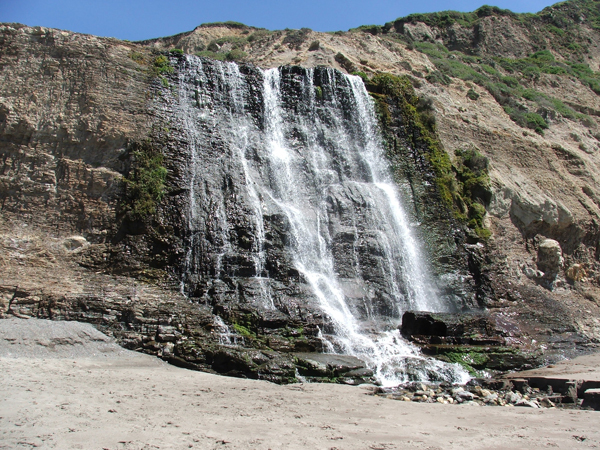 The end of our 3.5 mile hike was this waterfall coming out at the beach, called Alamere Falls. 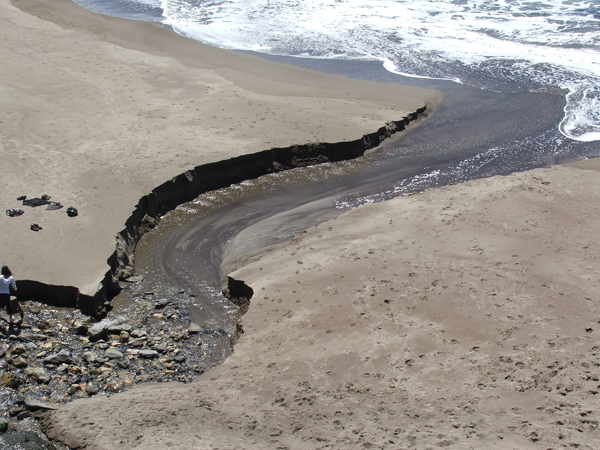 No hike is complete without a little sedimentary geology … this is the outwash of the stream and waterfall at the beach. My next post will show some movies from that stream. Here’s a view from the beach looking back up at Alamere Falls. That cliff is about 20 meters tall, give or take. It was a great hike. 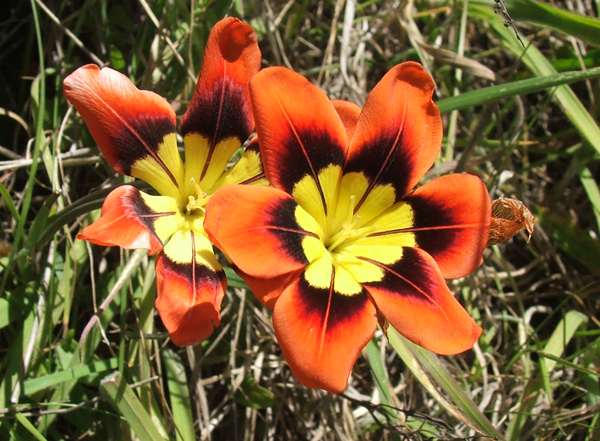 I wonder if your orange mystery flower might not be some variant of a tiger lily. I seem to recall seeing those up on that part of the coast. Great hike photos – and waterfalls – and flowers…. My first thought about the flower was lilies, also – haven’t seen one like that so far.